Quick and easy breakfast bowls are a popular way to mix up your morning routine. Simply combine your favorite morning time favorites into a bowl and enjoy. Serves 4-6. Add vegetable oil to coat the bottom of a cast iron skillet and heat over medium high heat. Add potatoes and onions. Season with salt and pepper to taste. Turn to cook until browned as desired. This will take about 15 minutes. 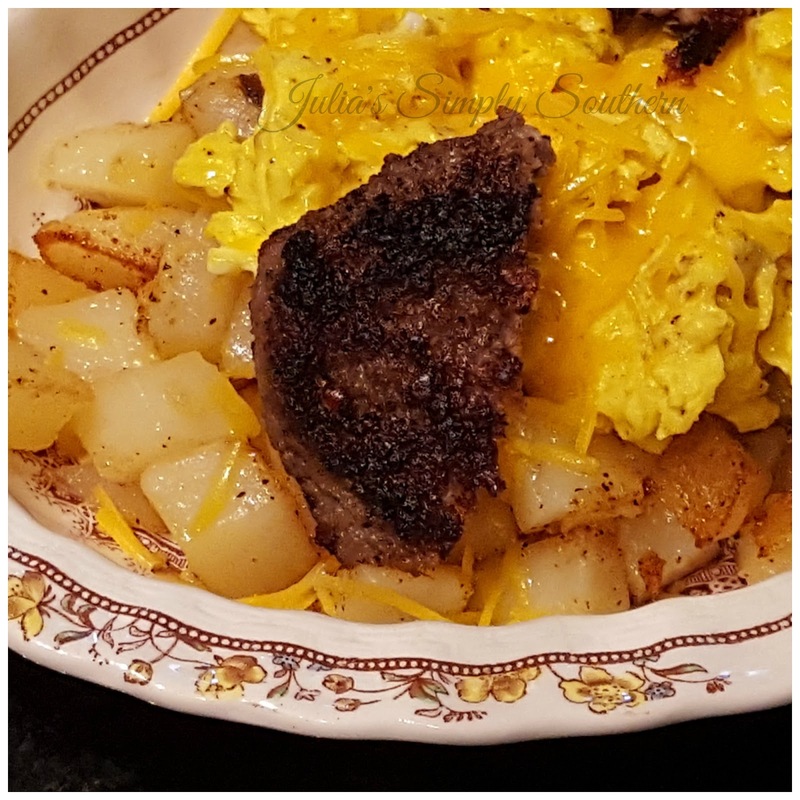 While the potatoes cook, prepare and cook sausage patties and scrambled eggs. 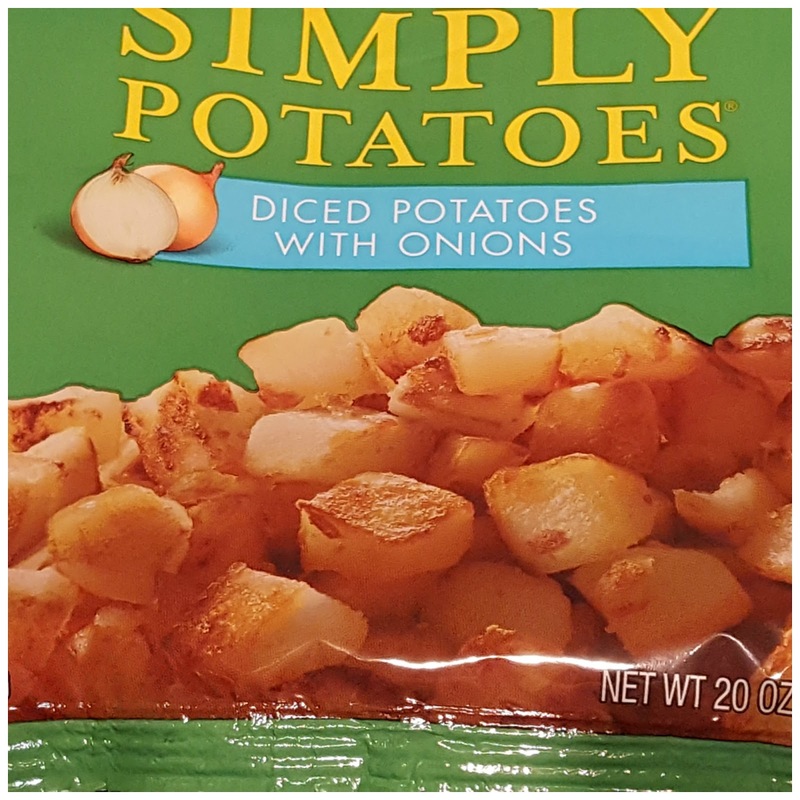 Add a layer of cooked potatoes & onions to a bowl, topped with scrambled eggs and shredded cheese. Add sausage patty or other cooked breakfast meat of choice. Enjoy. © All Rights Reserved - Julia's Simply Southern. May be printed for personal use only. No part of this site including, but not limited to, ideas, text, photographs or images may be copied, republished or distributed without express permission.